Treasure hunts are fun and competitive, and always a big hit! This one, themed perfectly for your baby shower, has a little extra... first you have to solve riddles, and with your answers in hand, search for the items. 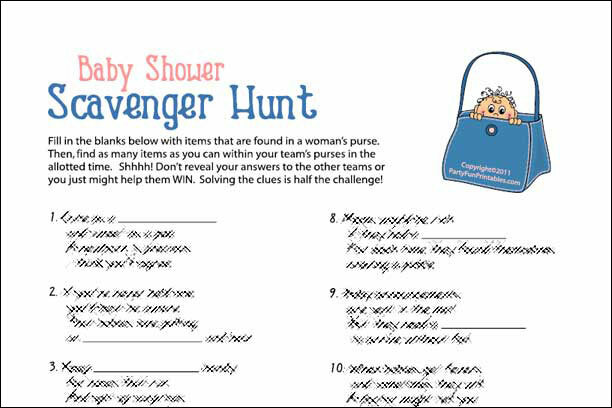 There are 13 rhymes to solve in this cute little baby shower scavenger hunt. Fill in the blanks in the rhymes with items that can be found in a woman's purse. Then, after the list is completed, the teams need to find as many items as they can in their purses. The team with the most items wins. 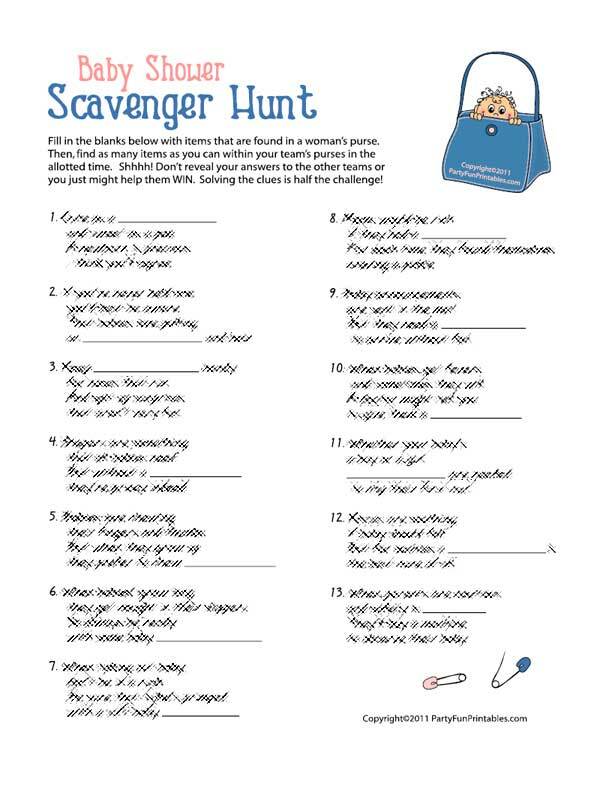 A fun printable game, perfect as an ice breaker for a baby shower!